Sussex Police have confirmed that between 30,000 and 40,000 people attended the Lewes bonfire celebrations last night (November 6). Sussex Police and partner agencies worked throughout the evening to ensure Lewes Bonfire celebrations were enjoyed by those who attended. Chief Superintendent Neil Honnor said: “This event takes months of preparation, planning and working with our fellow emergency services and partners, as well as the bonfire societies. Our aim is always to provide a safe environment for both participants and spectators. South East Coast Ambulance Service and St John Ambulance treated around 81 people for injuries, most relatively minor, Sussex Police confirmed. 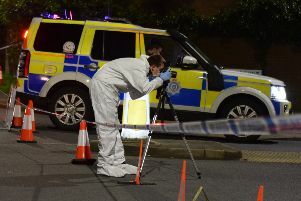 By 1.30am police had made a total of two arrests for possession of a knife and affray. A number of people given tickets for throwing fireworks, according to police.